Troops of 1 Division under Operation WHIRL PUNCH responded to a distress call about an armed robbery along Birnin Gwari - Funtua road. While on pursuit of the armed robbers, they were ambushed by suspected bandits. 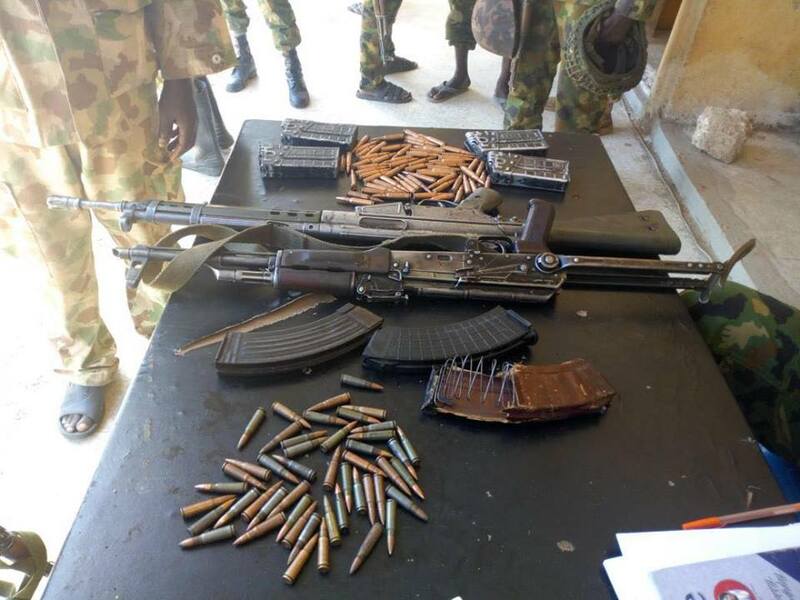 However, they fought their way and overpowered the bandits, who hastily withdrew into Kwuyambana forest in Zamfara State. 2. During the pursuit of the bandits in the forest, 5 x bandits' dead bodies were found. Among the eliminated bandits was a notorious bandit from Zamfara identified as Sani Danbuzuwa. Regrettably, we lost One soldier and Two were injured. The wounded soldiers were evacuated and they are responding to treatment in military hospital in Kaduna. a. 1 x AK47 rifle. c. 87 rounds of 7.62mm (special). d. 1 x G3 rifle. f. 61 rounds of 7.62mm (NATO). 4. Likewise, a wanted vicious kidnapper and expert in negotiations for ransom, called Yinusa Suleiman from Sambuwa village was apprehended by troops on 14 August 2018. He is currently assisting the security operatives in further investigations. 5. The troops remain committed and determined to ensure security and safe passage to all commuters along highways of Kaduna - Abuja and Kaduna - Birnin Gwari roads as well as adjoining towns and villages.